Looking west from visitor parking. One of the numerous airplanes displayed outside. Looking east from the path to and from the Wings & Waves Waterpark. Staircase down from the mezzanine level. Aircraft models displayed on the mezzanine level. The reception desk as seen from the mezzanine level. One of the mezzanine conference rooms. An overview of the museum's interior from the mezzanine level. 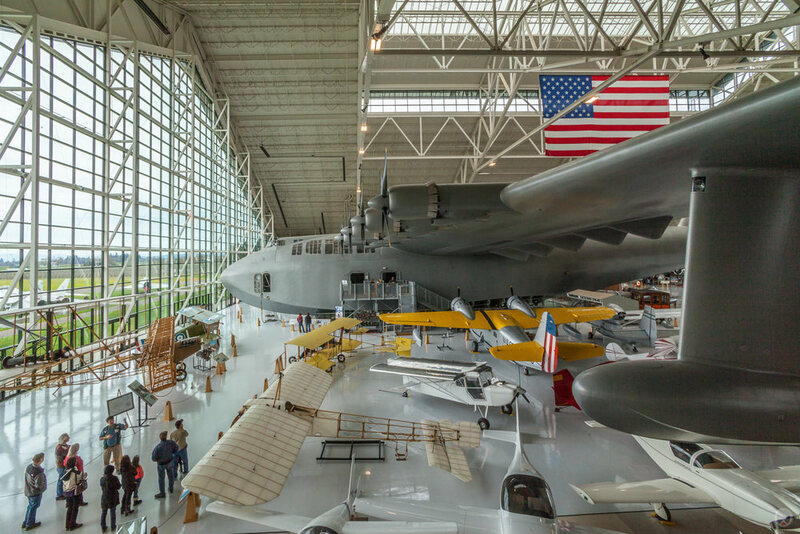 The main window wall and the "Spruce Goose". Close-up on the "Spruce Goose". Close-up of the "Spruce Goose" propellers. A B-17 as seen from under the tail of the "Spruce Goose". 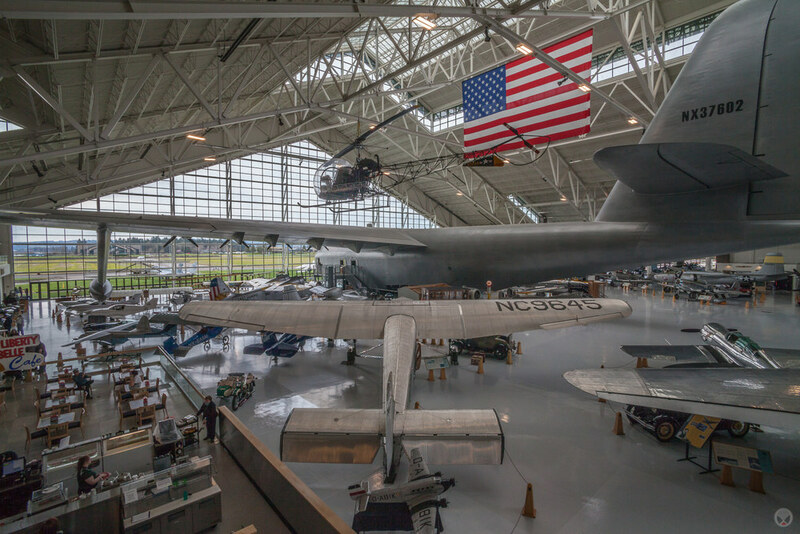 The back door of the museum was sized specifically for the B-17 - which is the largest plane displayed inside that still flies. Looking across the main floor towards the south curtain wall. The main floor with aircraft on display. The back door is visible on the right hand edge of the image. Roof trusses and skylight panels. Looking up at the skylight through the roof structure. The main curtain wall at dusk. 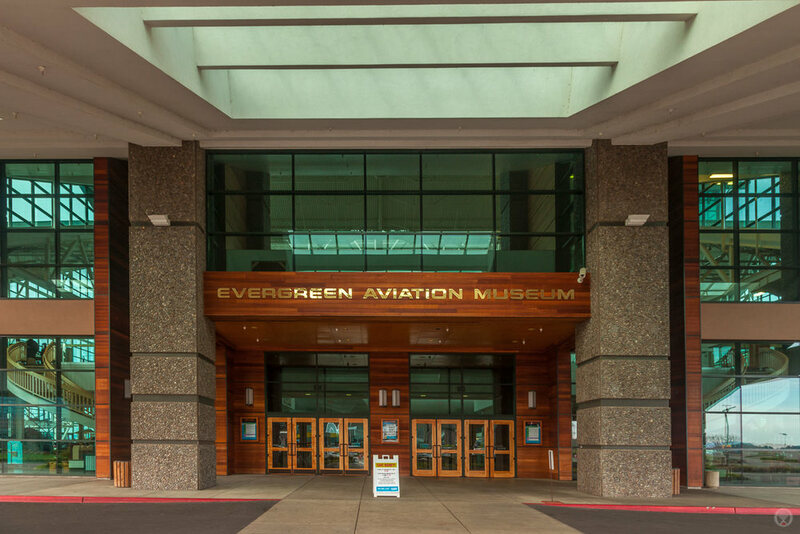 This building (now referred to as the Evergreen Aviation Museum) was designed to house the largest aircraft ever to fly: The Hughes HK-1 flying boat (often referred to as the “Spruce Goose”). 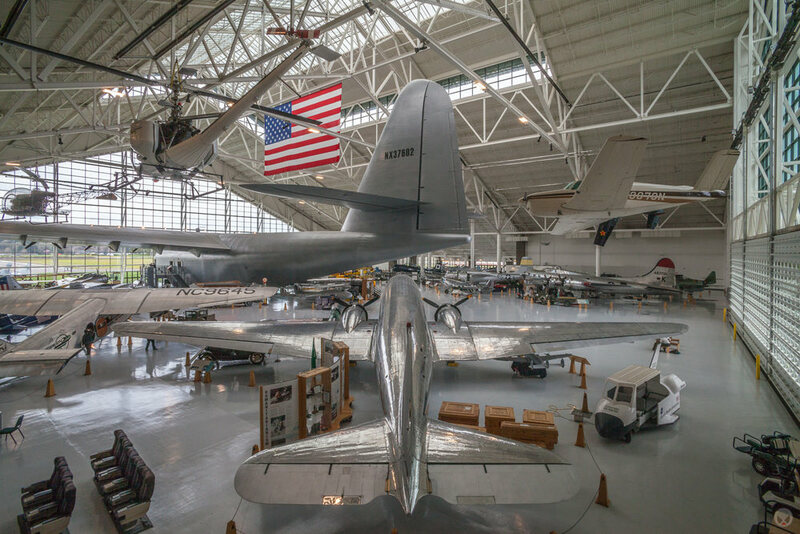 Another major part of the program included the display of the owner’s collection of historic aircraft – many of which are still in flying condition. 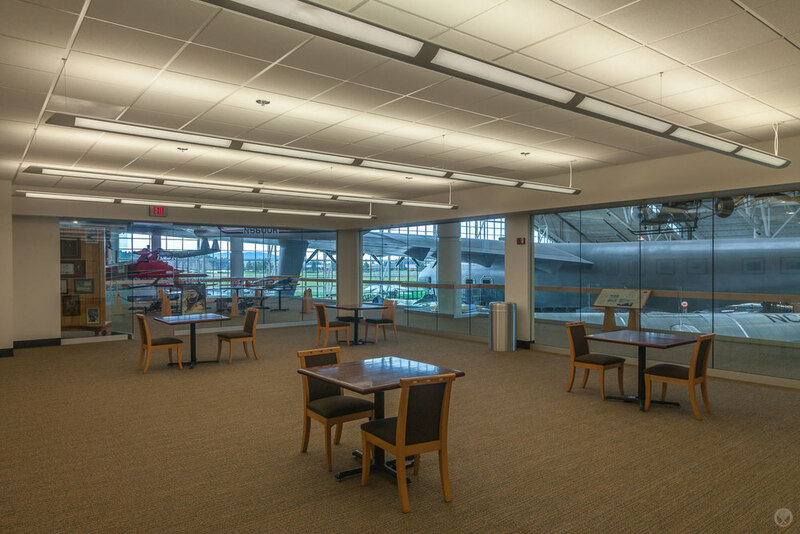 The building uses structural steel scissor trusses to economically bridge the plane’s 319 ft wing-span. These trusses were up-sized to support suspended aircraft as well. As is common with a project of this size, the design process was subject to series of starts and stops as the owner worked to raise the necessary funds to make the project a reality. As such, my role in the project was entirely concentrated in the conceptual and design development phases. By the time the construction document phase started, I had been assigned to other projects. 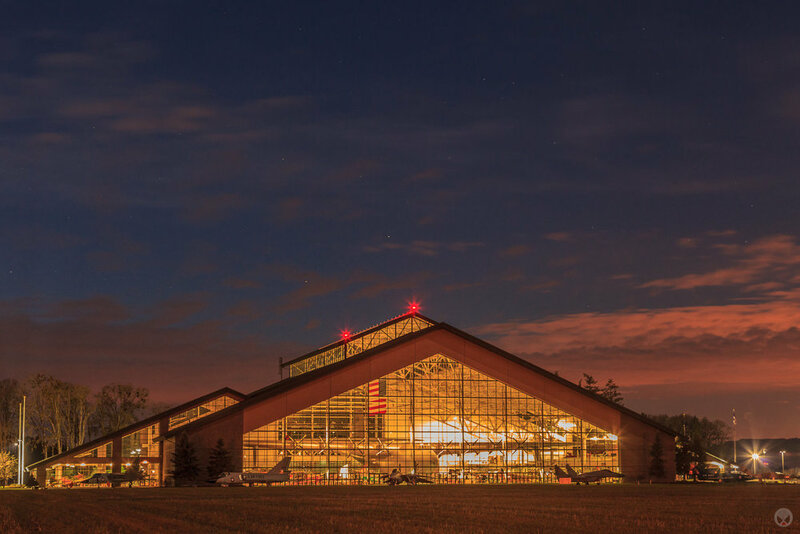 The AMAA-designed Aviation Museum was the first of several buildings on the campus. 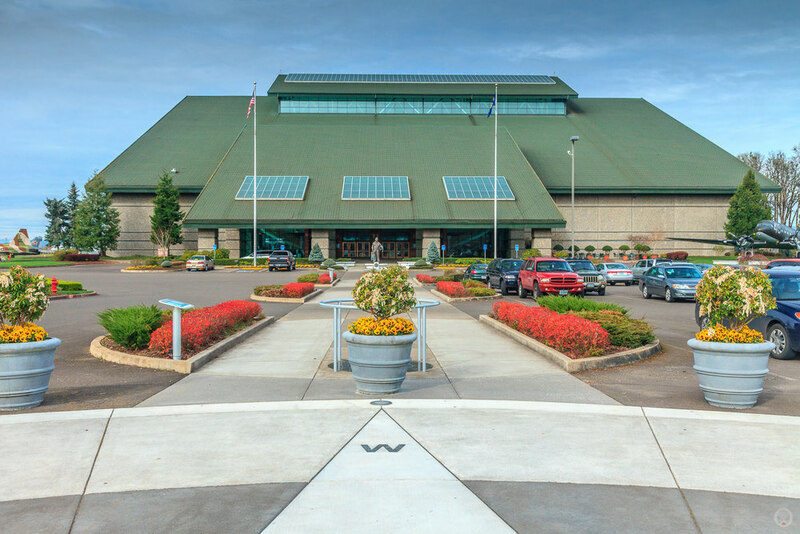 The subsequent buildings (Space Museum, IMAX theater, and Wings & Waves Waterpark) were overseen by Scott | Edwards Architecture LLP in a similar style. 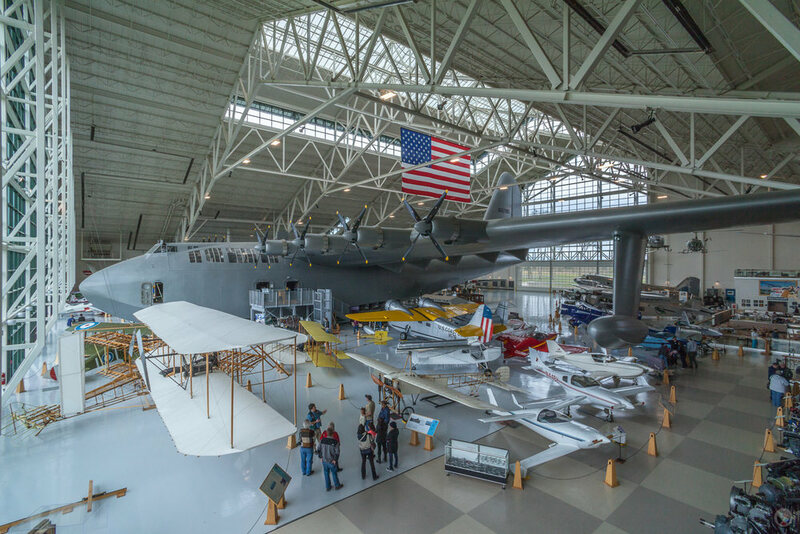 The Aero-News Network has created several videos about the Evergreen Aviation Museum and the Hughes HK-1 Flying Boat. Client: Evergreen Vintage Aircraft, Inc.